New Sun & Moon style figures are here! Tomy has announced another set of style figures! 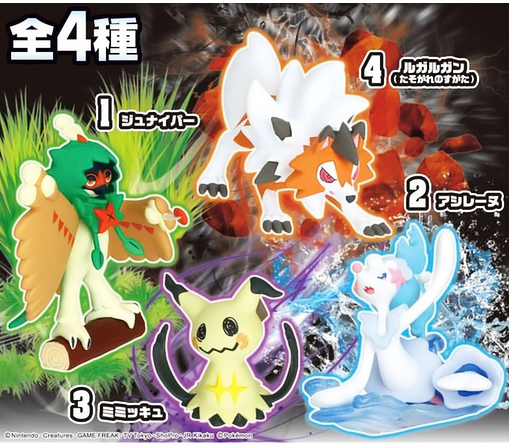 This set features Decidueye, Primarina, Mimikyu, and Lycanroc Dusk form. The set will be sold in boxes of 10 for 3,800 yen. Release date is mid-October 2017.